In the last few years at Sweet Seeds® we have been very interested in genetics coming from the USA, in our continuous search for new tastes, aromas and sensations. 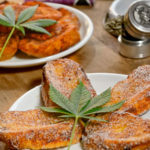 USA is known as a country with a long cannabic tradition from which some of the most mythical marijuana genetic lines rose, such as Skunk, Haze, Northern Lights, Chem Dawg, OG Kush, Diesel, and many other cannabis classics so well known within the international cannabis community and appreciated all around the world. 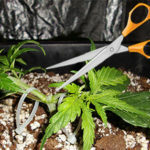 We have been testing an extensive amount of American genetics and performing a painstaking work with elite clone selections from the best specimens. Generally speaking, our selections from American genetics are characterized by featuring a structural appearance that leans to the Sativa side much more than the typical European selections. Regarding the aromas, in general, in our American elite clone selections the predominating fragrances usually resemble wood, cypress, lemon, solvent, earth and spices. This is also very true in the new strains that we are releasing for the 2017 season, which are already available in our online shop as well as in every seed shop and grow shop that stock the most important seed banks in the world. Excellent hybridization between two of our best elite clones coming from USA genetics. In the cross takes part a selected clone of San Fernando Valley OG Kush, one of the oldest and most original OG Kush genetics, characterized by a pleasant and complex OG Kush scent, with strong presence of the lemony aroma coming from the Lemon Thai that takes part in the original OG Kush cross. The other elite clone that intervenes in the cross is a Kosher Kush, a modern genetic from the OG Kush family very appreciated in the zone of Los Angeles and nearby areas (California). The aroma of this strain is very pleasant and intense, with original lemony tones of OG Kush and hints of solvent, notes of spices, wood and blue cypress. The plants look like Indica-Sativa hybrids leaning to the Sativa side. This type of American varieties with strong presence of the limonene terpene are highly appreciated in the USA for cannabic extractions. This variety was developed within a programme of the Sweet Seeds®’ R+D Department that was focused on the search for exquisite and marvellous earthy aromas. This strain is the resulting hybrid from the cross between an elite clone of So G Kush (OG Kush x LA Confidential x Trainwreck) and our elite clone of Blue Monster (Blueberry‘99 x Black Domina‘98). The Blue Monster clone that takes part in this cross brings the earthy soul aroma to our appreciated and classic Cream Caramel® (SWS04). The aroma of this variety is exquisite, very sweet and with a pleasant strong earthy presence. This scent comes mixed with a background of aromas typical of the OG Kush family, featuring exotic and pepper spicy tones with a fresh touch of cypress. The plants grow with mostly Indica structure, producing a big main bud, very resinous and compact, complemented with multiple side branches completely covered by smaller flowers of the highest quality. This strain is a great producer of resin crystals. 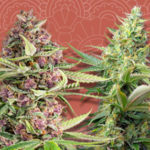 These two strains from the Kush family are totally adapted to both indoor and outdoor growing and feature the so well-know and appreciated traits that characterize our seed bank, such as outstanding resin production, especially sweet and aromatic fragrances, easy to grow, easy to clone, adequate for cannabic extractions, homogeneous growth that allows for SOG growing, amazing production of big and compact flowers that allow for very interesting yields and extremely strong effects that are very pleasant and will delight even the most experienced cannabis users. From Sweet Seeds® we would like to wish you sweet and happy harvests.